Delidding can be described as something like „taking cooling to the next level“. 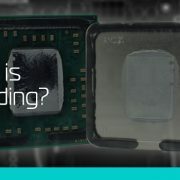 Liquid cooling is far more superior than air cooling, and liquid cooling a delidded processor is even more efficient. https://www.ekwb.com/wp-content/uploads/2015/12/what_is_delidding.jpg 370 705 Atila Gobor https://www.ekwb.com/wp-content/uploads/2015/12/ekwb_logo.png Atila Gobor2016-08-25 08:14:322017-03-23 14:54:27What is delidding?